The brass stem on a regulator, this one is right-hand threaded. A brass regulator stem is the part that protrudes out from your regulator and attaches, via a regulator nut, to your CO2 cylinder. This is a right-hand threaded stem which should work on most standard CO2 regulators that take a right-hand thread. 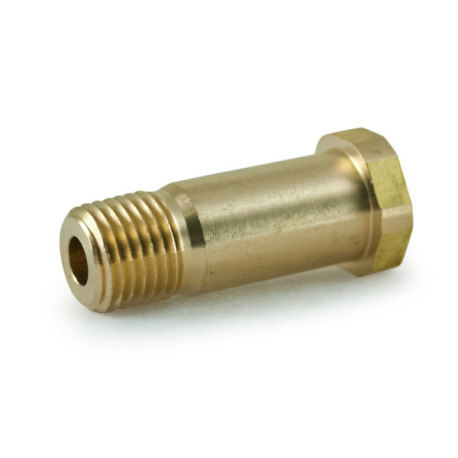 This works wonderfully as a replacement if your regulator stem is damaged or missing!